Keith Vaughan is an artist from an historically important, enduringly popular period in post-war British art. Although he made his first paintings – small works of art on paper and card – in the Thirties, he came to prominence in the Neo-Romantic movement of the 1940s, exhibiting in London and New York during that decade and going on to achieve international recognition in a career that spanned four decades. His work is held in important public and private collections throughout the world and yet is not as widely known and appreciated as it deserves. Publication is timely in Vaughan’s centenary year and, along with a number of exhibitions, will help generate renewed interest in this key British artist. The result of many years of research, it is the first comprehensive illustrated record of all the known oil paintings produce from 1946 to 1977. 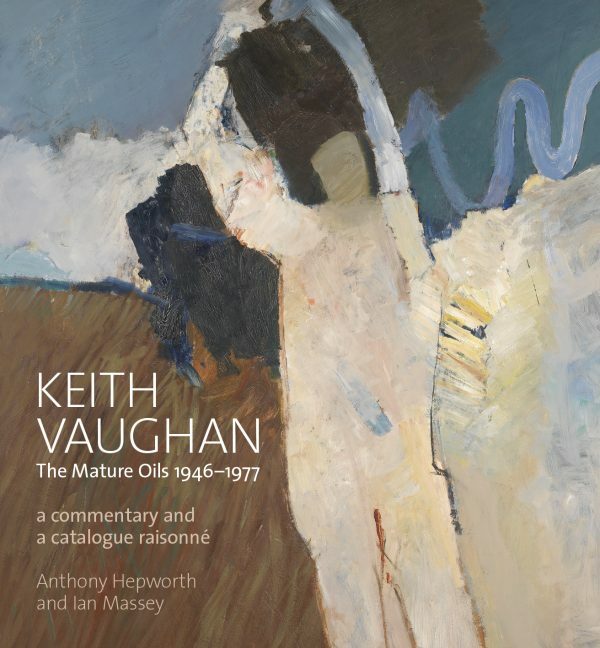 The catalogue has been compiled from the artist’s records by dealer and Vaughan expert Anthony Hepworth. In an accompanying critical essay, Ian Massey – author of the acclaimed Patrick Procktor: Art and Life – considers the stylistic and technical development of Vaughan’s work over three decades from the post-war period when he first concentrated fully on painting. Drawing on the artist’s own writings including previously unpublished correspondence, Massey’s text documents the autobiographical factors which influenced the artist’s iconography, much of which centres on the male figure and landscape. Vaughan’s main influences – Brangwyn, Cézanne, Matisse and De Staël are considered, as are the ways in which theatre, ballet, film and photography informed his work. The work is also set within a wider artistic and social context, and considers Vaughan’s position within figurative and abstract artistic developments of the period, both in London and internationally. More than 600 paintings are documented in detail.